Kazakhstan – huge, landlocked, remote – has nonetheless been working steadily over the decades to build connections, be they physical ones like the Western Europe-Western China highway, or political ones, like helping mediate the complex conflicts in Ukraine, Syria and beyond. Now, the country has launched an ambitious, new, technology-driven network: the Astana International Financial Center, which opened Jan. 1 with the lofty goal of making Kazakhstan’s cold but gleaming steppe capital the financial hub of Central Asia, the Eurasian Economic Union (EAEU), the Caucasus, Western China, Mongolia and Eastern Europe. 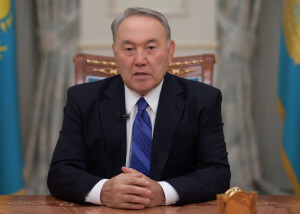 Kazakh President Nursultan Nazarbayev conceived of the financial center, seeing the possibilities it would open for the young state, including helping to develop its potential as a transit hub. 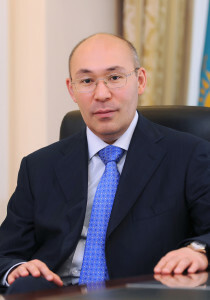 “I signed a decree on the establishment of the Astana International Financial Center (AIFC). It will be based on the principles of English law, the preferential tax regime and an independent financial court,” Nazarbayev announced, a statement which initiated sweeping changes in the country’s financial world and beyond. From the AIFC’s inception, using English common law has been a keystone of plans for the center’s operation. Investors are attracted to a country where a familiar legal process is used, because they understand and trust it. Choosing English common law meant changes in the country – even to its Constitution – but the center’s management understands investors are looking for safety and stability and using common law makes investments in Kazakhstan safe. Approximately 50 laws have now been adopted relating to the AIFC, and the necessary changes made to Kazakhstan’s national codes. AIFC aims to attract investments by creating an appealing environment for investing in financial services, developing the nation’s securities market and ensuring its integration with international capital markets. The center’s management also plans to develop the country’s insurance market, banking services and the Islamic financing market. It will also be launching special services for expats to give them access to all necessary services provided by the Kazakh government. It aims to make their living and working conditions as comfortable as possible. “I would like to encourage business representatives to pay more attention to emerging markets, explore new opportunities and help give new impetus to existing financial systems. In turn, the AIFC can provide investors with unique opportunities for cooperation and become a conduit throughout the Eurasian space,” AIFC head Kairat Kelimbetov said in January at the World Economic Forum in Davos. “Promoting financial technologies and creating an ecosystem that allows them to develop is one of the strategic directions for the development of the AIFC. The specialized hub of financial technologies has started to work, which should become the center of attraction for key players of the ecosystem and innovations,” he added. In December, Lord Harry Kenneth Woolf was named AIFC court chair and Nazarbayev participated in the swearing-in ceremony. Woolf is an international arbiter and mediator in financial law and has extensive professional experience in the English, Welsh, Qatari and Hong Kong judicial systems. Nine foreign judges with experience in the U.K., Qatar, Hong Kong and Singapore are now employed in the center. Foreign investors working in Kazakhstan will settle their disputes in the AIFC court, similar to the court with international authority operating in the Dubai Center. To date, AIFC and its partners are working on the following key financial areas – an accelerating program to develop financial technologies and e-commerce, a regulatory sandbox for financial technologies, a development center for a non-cash economy. In addition to drawing in experienced, trusted partners, Kazakhstan is working to bring the latest technological tools to its new venture. AIFC and NASDAQ signed a technology agreement on May 29, 2017 that will allow the AIFC Exchange to use the NASDAQ matching engine. The matching engine has been implemented and will go through several testing and acceptance stages before being officially deployed. According to international experts, the NASDAQ matching engine is the most widely used in the world, combining the highest performance with extensive functionality to meet current and future business and performance requirements in a cost-effective manner. Once the AIFC Exchange goes live, NASDAQ will provide continuous maintenance and technical support. “NASDAQ is honored to contribute to the new ‘state-of-the-art’ exchange infrastructure being built by the AIFC authority for the Kazakhstan and related international markets,” said NASDAQ Executive Vice President of Market Department Lars Ottensgard. “By leveraging our NASDAQ financial framework, the AIFC Exchange will be running on groundbreaking technology, which will allow for standardized and unified operations coupled with robust flexibility to boost its competitive proposition in a rapidly evolving international marketplace. We look forward to partnering and supporting the AIFC in this exciting new development,” he added from. AIFC will also cooperate with Amazon Web Services (AWS) to develop financial technical systems and maintain innovative start-up projects in Kazakhstan. All start-ups selected by AIFC will have the opportunity to participate in the AWS Activate program, which supports young companies and gives them free access to cloud resources. Start-ups will also be able to use the AWS services and technology infrastructure necessary for business development. All start-ups will be able to create complex and intelligent applications with any infrastructure, quickly collect and process a large amount of data, protect sensitive data and reliably connect applications to the cloud. Dropbox, Pinterest, Spotify, Airbnb, Lyft and Slack are some of the well-known companies that use AWS capacity to ensure the rapid growth of their business. AIFC will own one third of the approximately 550,000 square meters occupied by the EXPO 2017 buildings. The center is presently using only part of one building. The pavilions, initially designed and constructed for the exhibition, have been reconfigured as offices according to the highest international standards. While AIFC has now been operating for a little over a month, it isn’t yet well known, as such centers can’t be established and developed quickly. 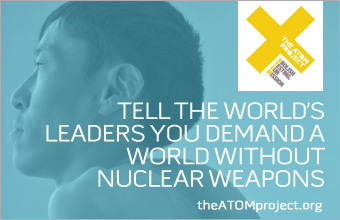 It may take years and even decades for it to become popular and for Kazakhstan to see the results. But the work has begun. Investors around the world are becoming more familiar with Kazakhstan’s privatization program. International economic experts believe the AIFC can contribute to developing major Kazakh companies, which are expected to have IPOs on its platform this year and in the future.